Feeling like you are covered in snot all day really gets you motivated to find a solution. It has been a long road but (knock on wood) hopefully we have found what works for us. As you all know we try to stay as natural as possible. We are not big fans of treating symptoms long term, we are much more interested in correcting the problem. Rashes, runny noses, diarrhea, vomiting and allergies are ways for the body to detox. We do not want to suppress the bodies process of eliminating toxins. Taking care of congestion is a day to day job, as is supporting the entire body. Now why is the elimination of congestion so important. For me it always comes back to something very close to my heart-SPEECH. If your child is congested, they will have fluid on the ears. If they have fluid on the ears, they will not hear. If they do not hear, they will not speak or will not speak with good articulation. Oral Motor Therapy is very important but if your child does not hear every syllable they will not repeat every syllable. Fluid on the ears causes a multitude of problems and has absolutely no benefit. Also, remember when your child can not breath through their nose they will open their mouth and become a mouth breather. 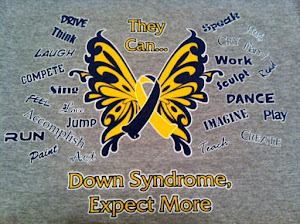 Typical Down syndrome mouth posture is usually due to congestion. Low tone and congestion would make anyone a mouth breather. Here is what has worked for us. 1. Evaluate diet. Start with getting rid of dairy. Getting rid of mucus is hard enough, you do not need the help of dairy. You can search the internet high and low. Some of the "experts" will say there is no connection but all the experts that I know agree-GET RID OF IT! If you are not sold, eliminate it just to test the theory and see if you agree. We drink raw goat milk but there are many options. Goat milk tastes exactly like regular milk. When tested Emma did not test positive for Celiac, but her belly is very sensitive to it. In order for the body to have its immune system on its toes, you must have a healthy belly. Gluten is vary hard for our little ones to digest, I always recommend gluten and casein free. Your child's belly will thank you for it and their brain will thank you for eliminating the "brain fog". Eliminating sugar and starchy foods will also be beneficial. 2. Suction and saline every day. Help the nose eliminate the allergen. You do not have to purchase, you can make your own by simply mixing 1/4 tsp of salt into 1/2 cup lukewarm water. Use bulb to spray into nose. This mixture does need to be made fresh daily. 3. Local honey every day. Taking a high-quality raw local honey before and during allergy season can actually lessen your allergies. Bees carry the pollen that aggravates seasonal allergies, and some of that pollen becomes part of the honey. Consuming honey daily can help your body grow accustomed to the pollen and immunize your body against it. I put it in Emma's AIR tea every day...which brings me to my next item. 4. AIR Tea. I learned about this from Andi Durkin. 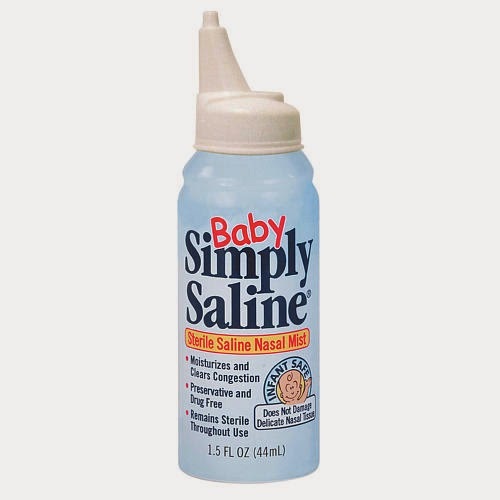 We started using it with Emma when she was 6 months old. It worked wonders. For some reason when Emma got a little bigger I stopped it. I ran out and just did not reorder. Within a month the snot returned. It takes a couple of weeks to see the benefits but ahhhh the benefits. I only give to Emma in the morning because it seems to make her a little spunky. We start every day with AIR Tea, honey and lemon essential oil. 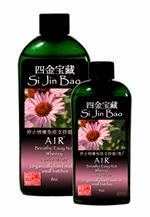 You can order from Si Jin Bao Herbs at http://sjbherbs.com/. Click on the order now tab in the upper left hand screen then scroll down and choose AIR Tea, they will then prompt you set up an account. I add a couple of drops of lemon to Emma's tea every morning. It is a refreshing pick me up and the aroma that she inhales as she drinks is wonderful for opening sinus. I combine these three and rub on the pads of the feet and toes, in front of her ears and high across forehead to keep passages clear. First I put 1 drop of Idaho Blue Spruce into the palm of my hand, I then rub my fingers from my other hand in the oil and apply a small amount to the lip under Emma's nose. I then add the Peppermint and Wintergreen and apply to feet and sinus area. Peppermint is strong so avoid eye area and under nose. I did not put this with the original post but I am now adding it. If congestion does come on here is a great remedy. In less than 2 days Emma's congestion was gone. A bout of congestion came on when everything started blooming this year. Because of this I knew she needed a little extra help. I made an Essential Oil suppository using coconut oil and Lavender. I took a piece of aluminum foil and wrapped it around the eraser end of a pencil and slid it off of pencil to create the mold. I melted 1 Tsp. coconut oil and added 8 drops of Lavender. With a very small funnel I poured the mixture into the mold. I then placed the mold in the freezer and it was ready in 10-15 minutes. With Emma I broke off about a 1/2 inch piece and used it once in the AM and once in the PM. I gave her another one around lunch the first day. Make sure that you remove all foil before use. The coconut oil will melt very fast so do not hold in hand until ready to insert. I would have added the oil RC but I did not have any at this time. Will add to any following suppositories that are needed for even more benefit. Make sure that you only use pure oil. There are only a few that are truly pure. It is nearly impossible to walk into a store and purchase a true pure oil. Emma is an oily baby, we have used oils with her for a while. They are very powerful so be careful. I can put oils directly on Emma but we started out by mixing with carrier oil such as coconut oil. 6. 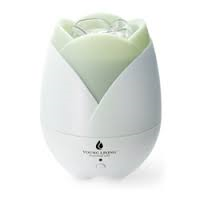 Cool Mist Humidifier every night. 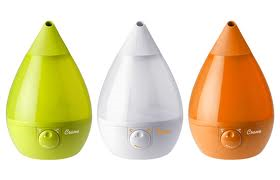 Humidifiers recommend using only distilled water, which I fully agree. We use the Crane for cost and effectiveness. There are many other great choices and you can spend a lot of money on some really nice ones or little less on a basic one. Do your research and choose what works best for you and your budget. 7. 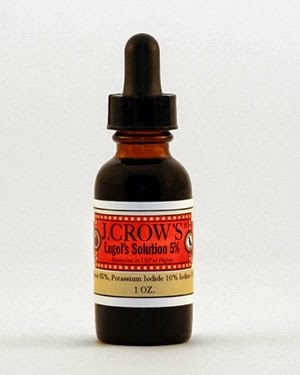 Lugol's Solution of Iodine 5%. I add this to the humidifier water to help purify the air in Emma's room. 8. Eucalyptus in our Young Living Home Diffuser. We use a diffuser that we got from Young Living. It is a small amount of water and about ten drops of Eucalyptus or Balsam Fir. 9. Push the liquids. Emma drinks a vegetable broth that we make with added pineapple juice and 5 ml of apple cider vinegar organic. Both help eliminate congestion and promotes good digestion. 10. Be aware of allergens. Know your childs triggers. Some stuff is controllable but some is just simply environmental and is temporary and we just have to push through. This is when honey helps. Avoid people that smoke. The theory of "I do not smoke in the house or around my child" is not an argument. If you smoke or if anyone who is in close quarters with your children smoke it is causing problems for your child. It is in their clothes and hair and this will effect your child's sinuses. You also need to eliminate what you can, like indoor pets, too when possible. Wash hands and change clothes to remove irritants after playing outside or going to store. 11. Support the immune system with vitamins. Emma's supplements are based on her lab results. We have Emma on a TNI (Targeted Nutritional Intervention) program so we know her specific needs. 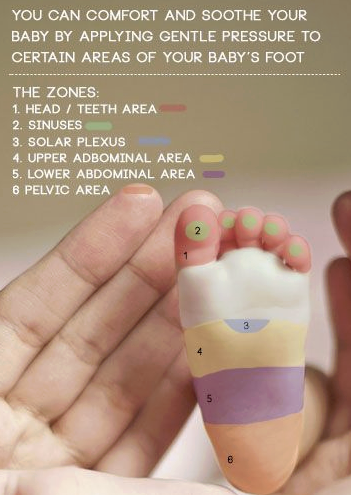 Figure out what vitamins your child needs but do not skip the following: Multivitamin, DHA Omega 3 and Probiotic. 12. Alternative therapy with chiropractic and cranial sacral therapy. 13. Simplify your cleaning supplies, Thieves is a wonderful alternative. If the body isn't busy fighting off toxins/chemicals it will be more prepared to fight off germs, especially kids with the MTHFR defect. Now I realize this seems overwhelming and it looks like a lot of work but I assure you it is not. Snot is so harmful to our kids. If you can control the congestion you will save yourself a ton of work in other areas.